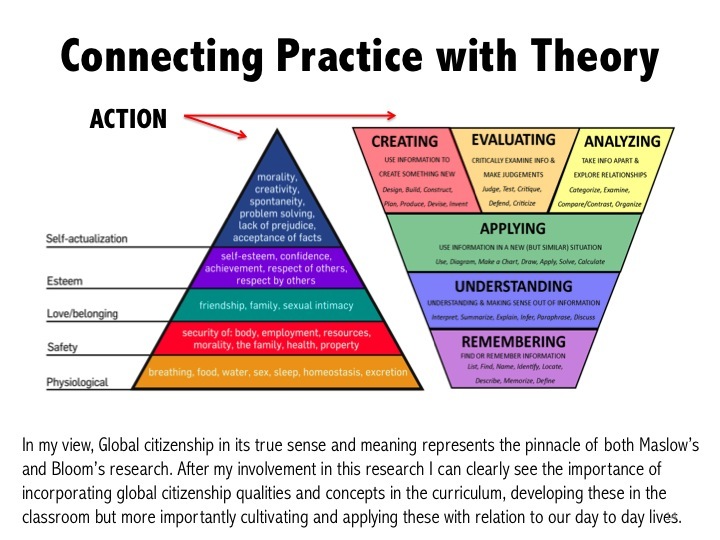 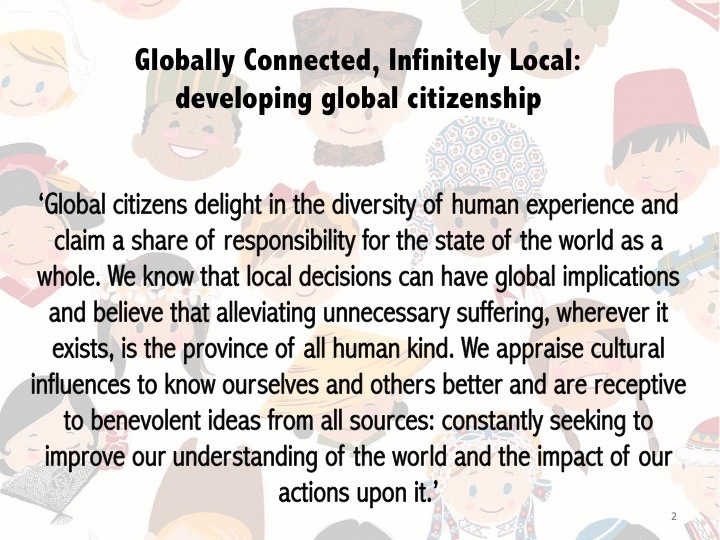 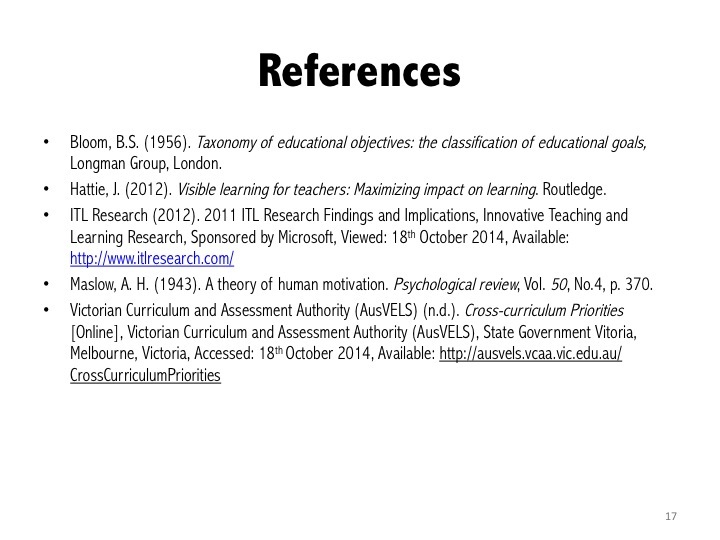 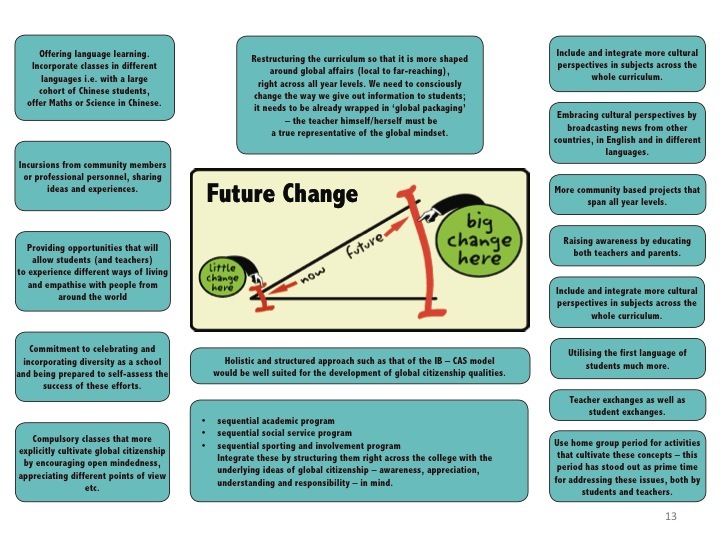 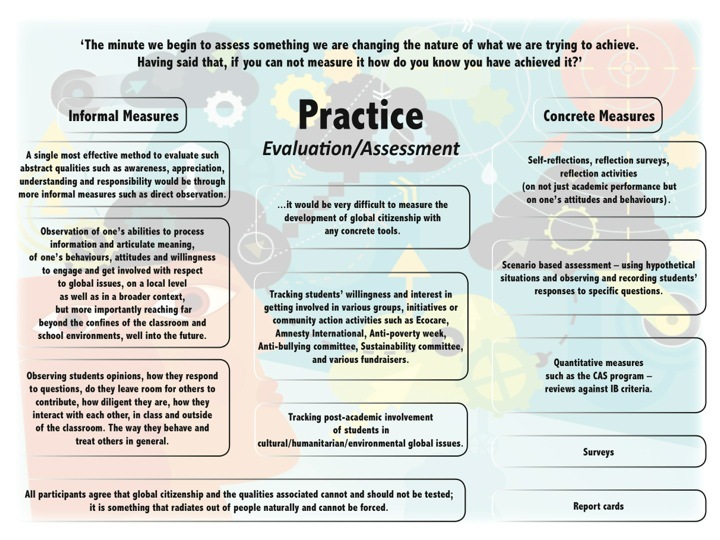 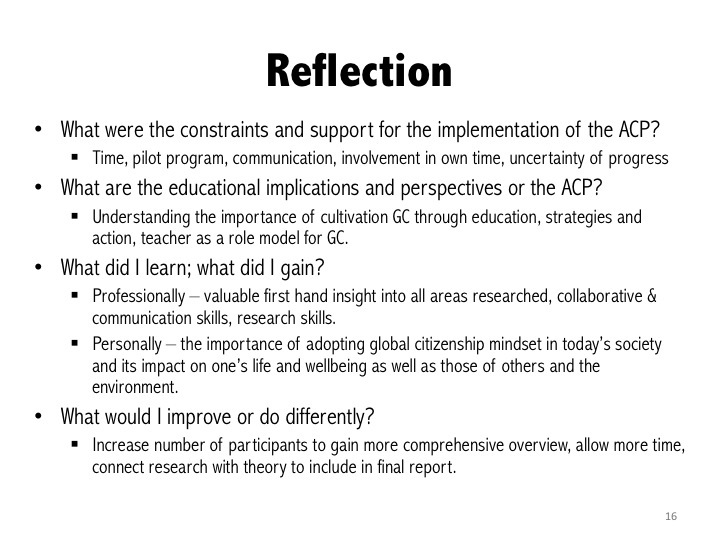 This research involved interviewing teachers and students, ranging from year seven to year 12, across MLC, who were required to respond to a series of questions developed purposely by us, to inquire into the understanding of global citizenship concepts and the four qualities advocated, implementation of strategies that develop these qualities in students, means for evaluation and assessment, and ideas for future change and improvement. 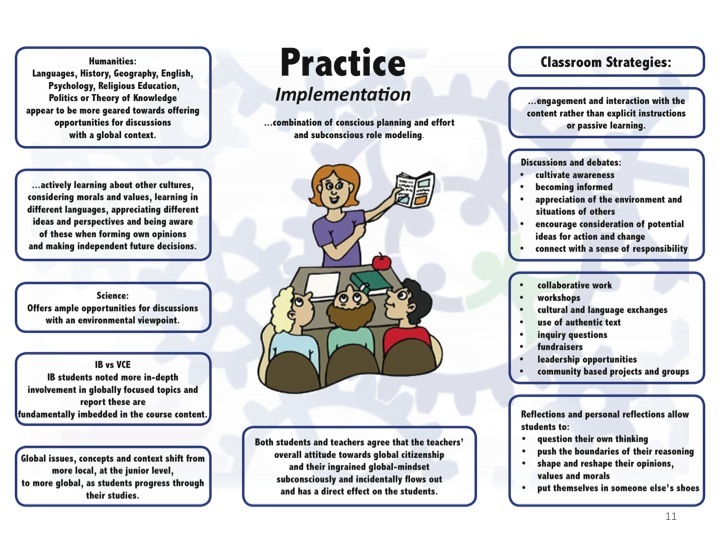 We conducted numerous interviews, which we transcribed and documented. 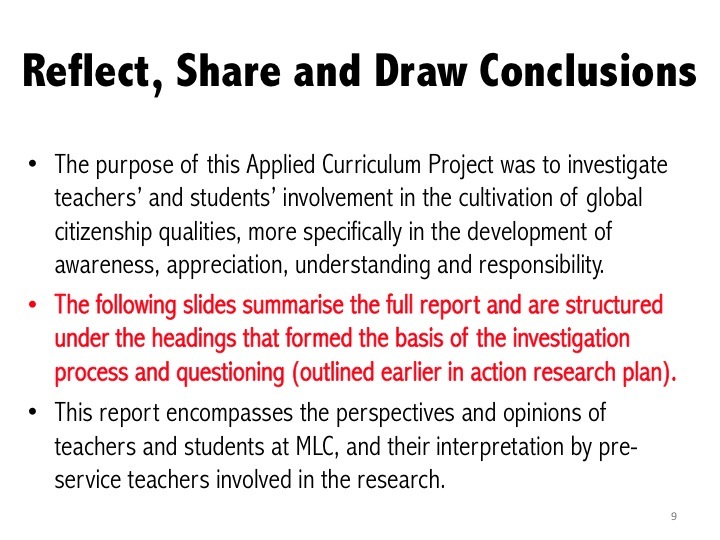 Data gained through this research we complied, analysed and evaluated in a report as agreed upon by all parties involved (MLC, Asia Education Foundation, VU and us – pre-service teachers). 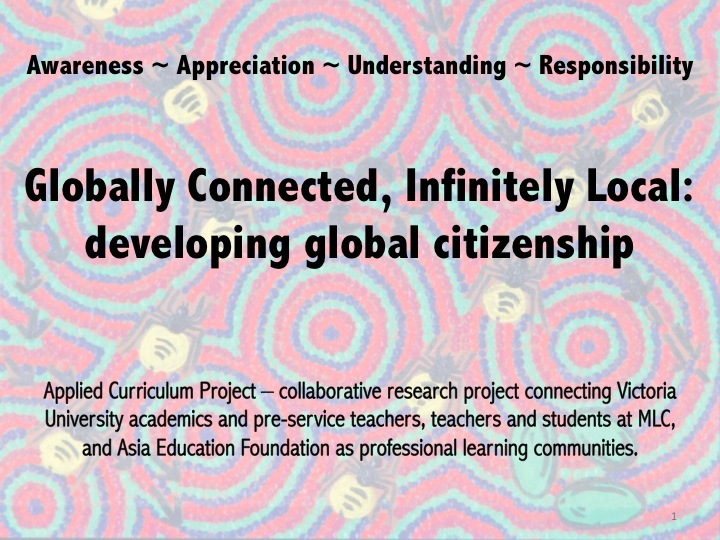 This project has given us an authentic opportunity to engage in meaningful research, investigating a relevant issue at the forefront of cross-curricular priorities at MLC, contributing to a larger common cause. 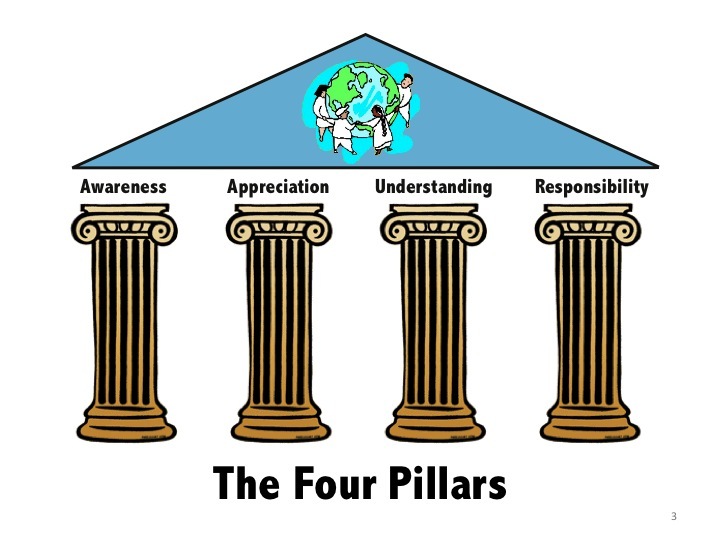 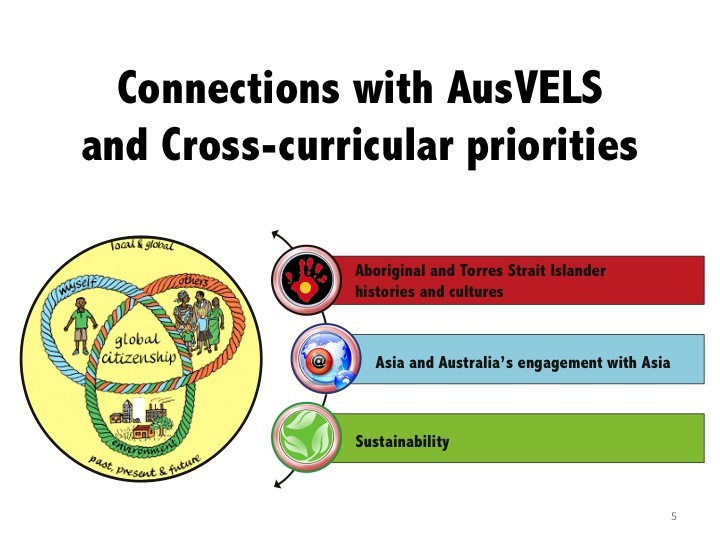 It has allowed teachers and students at MLC, us (pre-service teachers), and academics to collaborate as professional learning communities (VIT Standard 7). 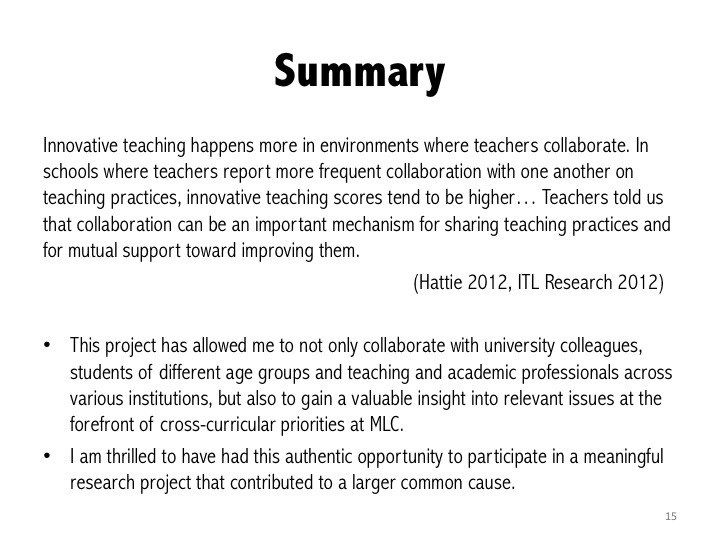 We were genuinely pleased with the outcomes of our efforts; these were well received by all parties involved. 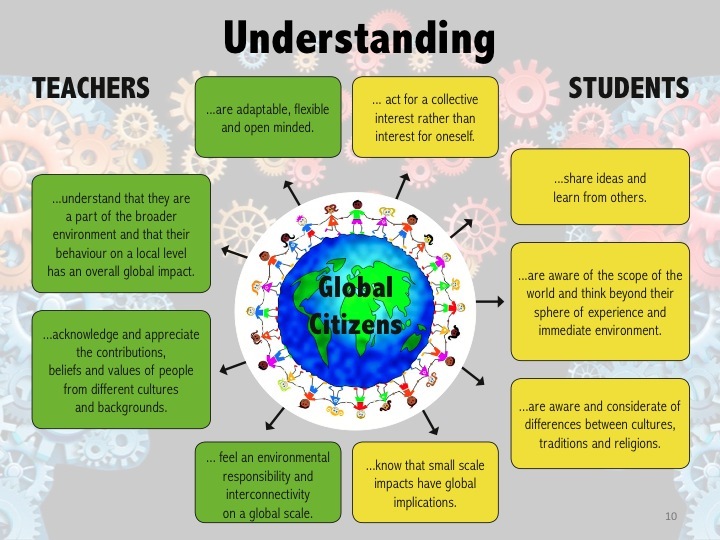 We have not only gained an understanding of how to conduct a successful research project, how to make sense of data and write a report, but more importantly gained valuable insights into what it means to be a global citizen, what schools and educational institutions do in order to cultivate global citizenship in young learners and what strategies we can take away and employ in our future teaching practice to foster these qualities in our own classrooms. 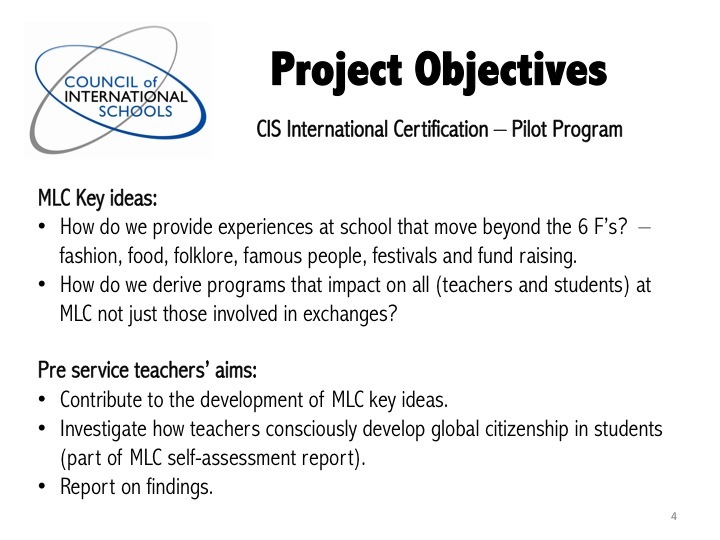 We are thrilled that we were able to experience a progressive learning environment such as that of MLC.